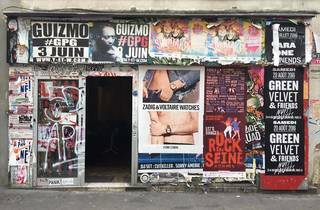 Le Syndicat cultivates the slightly mysterious air appropriate to its name, hidden away as it is behind a decrepit façade covered with a 5cm-thick layer of peeling posters and guarded by a bouncer – you almost expect him to demand a secret password. 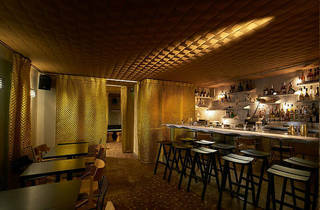 But co-founders Sullivan Doh and Romain Le Mouellic's dive bar proves, inside, to be kitschly sparkly and bronze-hued. 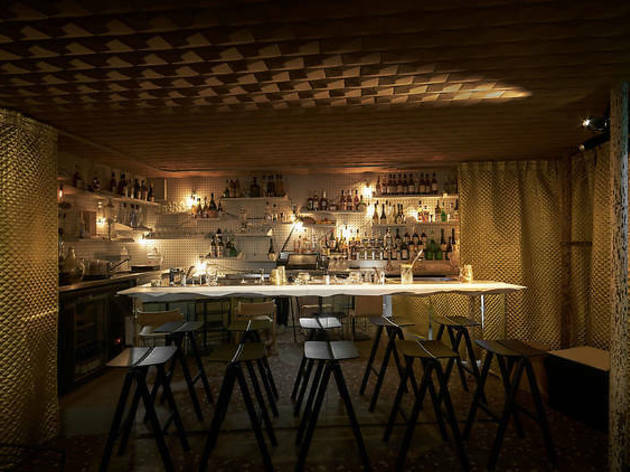 The drinks list hits the fashionable vintage spot, with little-known liquors (cognacs, armagnacs, eau de vie and more) put to good use in contemporary combinations. 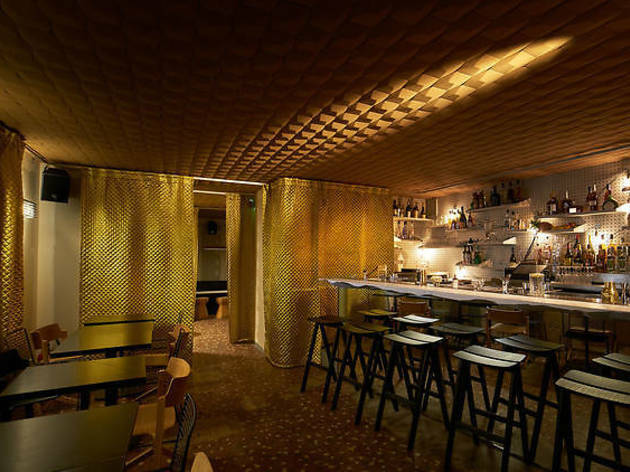 From vintage bottles to updated classic cocktails and daring modern creations (cocktails around €10, cognac tastings from around €20), this is a great place to discover forgotten tastes of French alcohols. Highlights from our most recent visit included the velvety, tangy Picon Biere made with cognac, Picon, beer and quince compote. Plus a raspberry negroni, to drink and dip with an alcoholic lolly made downstairs in their lab – the kind of details which show the team's fine attention to detail. 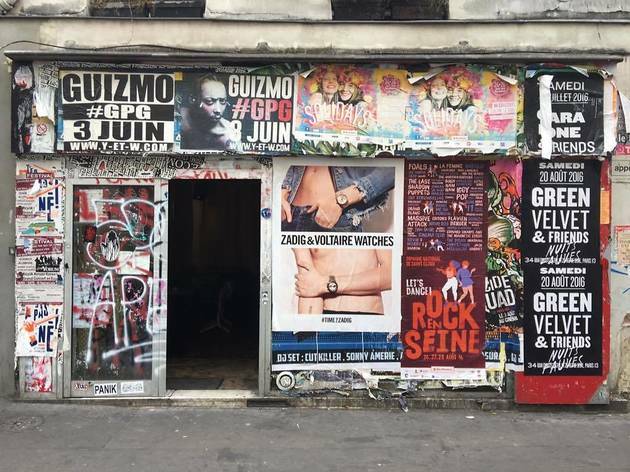 You sip your poison to a hip-hop soundtrack, another reminder of the hip appeal of retro drinks – Busta Rhymes, P.Diddy, Pharrell Williams and others are all known to be fans of French cognac. 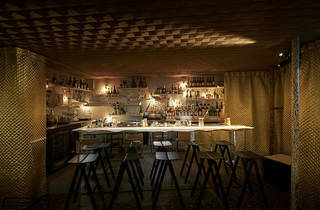 And the combination does seem to be infectious – Le Syndicat's understated frontage certainly doesn't deter the crowds.